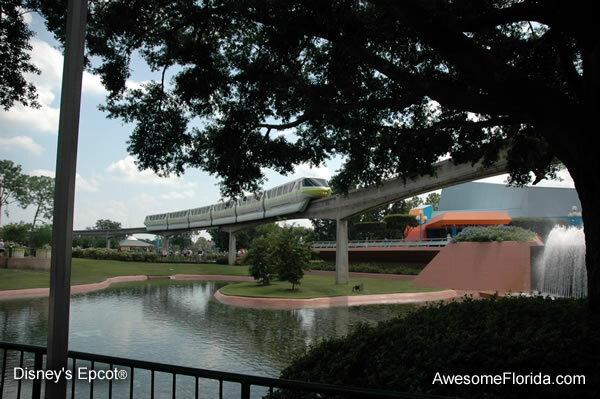 EPCOT® was originally a Walt Disney dream of an Experimental Prototype Community Of Tomorrow. However, the planned community of tomorrow proved impractical, and instead, became one of Orlando's most popular theme parks. The park has two distinct halves. 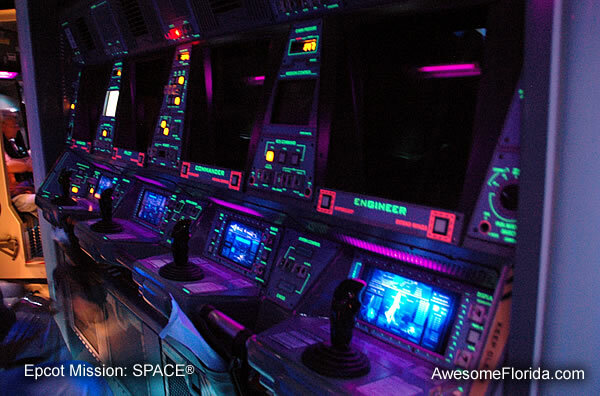 The Future World section is based on the concepts of technology and imagination from the original Walt Disney vision. The World Showcase represents the culture, architecture and culinary experiences of 11 countries. Upon entry to EPCOT, one is presented with the massive, 180 foot geosphere. 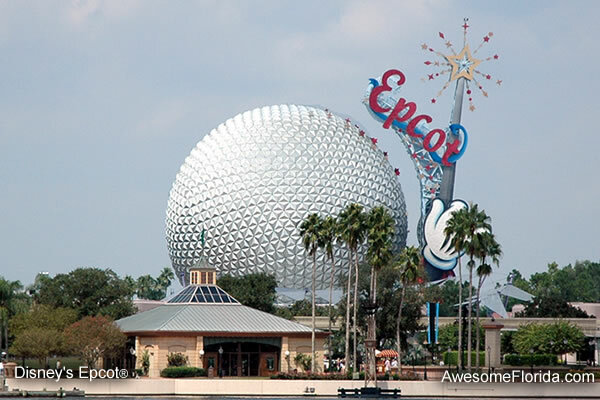 Not just an impressive piece of architecture, this giant sphere is actually an attraction called Spaceship Earth. A continuously moving train of cars carries visitors spiraling ever upwards inside the sphere where man's communications progress through time and technology is depicted in various scenes and animated displays. A 45 minute, multimedia story about energy. The attraction starts with a show on several big screens featuring Ellen DeGeneres. The humorous introduction sets the backdrop for the primary theme - energy and its origin. 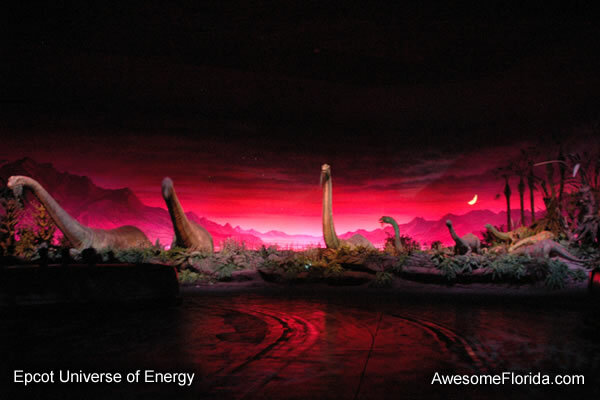 Visitors then are carried on large moving cars through a prehistoric landscape with animated dinosaurs. The tour concludes with more big-screen multimedia to bring the energy story home. It is A-W-E-S-O-M-E! Some love it - some hate it. 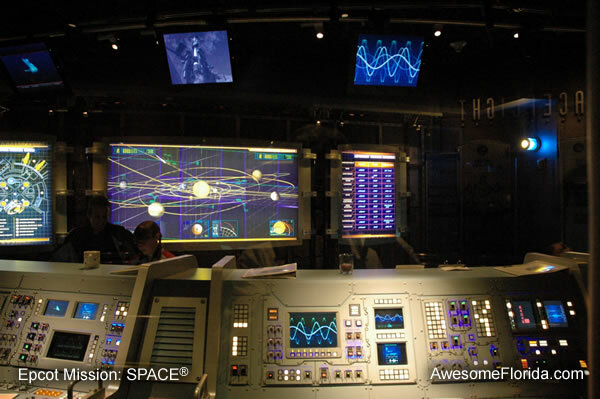 But one thing is certain, Epcot's Mission: SPACE is unlike any other ride you'll ever experience! The ride simulates a rocket take off and trip to Mars. Visitors assemble in many 4-passenger launch vehicles which are cleverly arranged on a centrifuge-like enclosure. From inside the launch vehicles, "mission members" each look into a display that simulates scenes of a rocket lift-off, a "sling-shot" around the moon, and finally a not-so-smooth landing on Mars. G-forces are simulated through rapid acceleration and spinning of the assembly, but the brain is fooled through the visual display of the lift-off and space travel so the spinning is not sensed. The resulting G-forces, however, are very impressive! The G-forces change dramatically back to zero after the lift off and before the sling shot around the moon providing a momentary sense of weightlessness as the ship speeds away from earth. The entire illusion is *very* good. A word of caution. DO follow the warnings to keep your head back and look straight ahead. This author didn't heed that advice during the first trip and felt queasy for 2 hours afterwards. Following these recommendations on follow-up rides resulted in enjoyable "trips" to Mars without the accompanying motion sickness.